My story goes back to the birth of my second beautiful son 24 years ago. I had the ‘usual’ back ache during pregnancy but after the baby was born it just didn’t seem to go away. I was told to lose weight which I did but I was still in pain, I had x-rays, scans, physiotherapy and hydrotherapy all within the space of a year but no one could find anything wrong. ‘It will be the pressure the baby has put in your spine it will eventually settle!! !’ can’t count the number of times I heard that and I started to believe it, they were the professionals surely they were right!!!. Still I would lie in bed crying into the pillow in pain at night determined not to disturb my husband afraid I was becoming a burden, neurotic and an altogether miserable person to be around. Ten years on and I developed late onset Epilepsy. This the professionals found easier to diagnose let’s face it I was convulsing and losing consciousness but guess what this was used as the reason for my increasing back and by this time knee, hip and neck pain – I was hurting them during convulsions!!!!! Believe it or not my anti convulsants seemed to dampen the pain for a while and I have to say that for a short time I thought maybe they were right!. But it wasn’t long before the pains and stiffness started again and I felt I was back to square one. I developed a very sore right eye which was diagnosed iritis. It wasn’t until I had a conversation with my dad who had just had a knee replacement due to arthritis that he told me that it was a very strong family trait. I had hardly known my grandmother but what I remember was a lady who was completely bent over with very swollen hands legs and feet and spent most of her time in bed. Dad asked had I discussed family history of arthritis with the doctor I said no because they were just focusing on effects of pregnancy and then epileptic seizure. It was dad who sent me to his rheumatologist, he was the first person who actually listened to me, he ordered an MRI, and a series of blood tests. He felt sure it was some sort of arthritis . A few days after the scan I was called back to see him and the first thing he did was to apologise for the ‘run around’ I have had. He confirmed it was an inflammatory condition and that my sacro iliac joints together with my lower spine had fused, further more my neck had partially fused and was pushing my trachea forward (I am unable to hold my head up straight) my hips were very inflamed but most of all my left knee was bone on bone. The consultant paused and said ‘you must be in agony’ Subsequent blood tests revealed that I have the HLA b27 gene and Ankylosing Spondylitis was confirmed. I have condensed my story but the whole process from pain to eventual diagnosis took nearly 17 years . Unfortunately by the time it was diagnosed a lot of damage had already been done and as all AS suffers know the damage can’t be reversed however my life has and is getting back on track. I have just had a knee replacement and have been on Humira now for about a year with good results. Together with my anticonvulsants all conditions seem generally under control!! I have a lovely family who have been a great support and a great rheumatology team but I am not prepared to take on the role of a disabled person just yet. I work full time although I have had a break for the last 5 months to get over the knee replacement (which was not without its complications)I hope to go back in a couple of weeks. I am not naive and am realistic enough to realise that AS is a lifelong condition but I take each day as it comes, take as much exercise as I can and rest when my body tells me . I am me – I am not the attachments, my possessions, or the people in my life. Thank you so much for sharing your story with us. I undertsand the trials you have gone through and admire your attitude. I too, am a realistic person, accepting the good and the bad of my life, focusing on what is right in my life, it is one of the reasons I started this site, so people would learn and benefit from the realistic side of this life we have. I love your… I am me… not the attachments, possessions or people in my life. Does us good to all remember that. Thanks for your comments Cookie I really think you are doing something wonderful here I have great admiration for you. Thank you so much Patrica and I feel the same toward each and everyone of you! 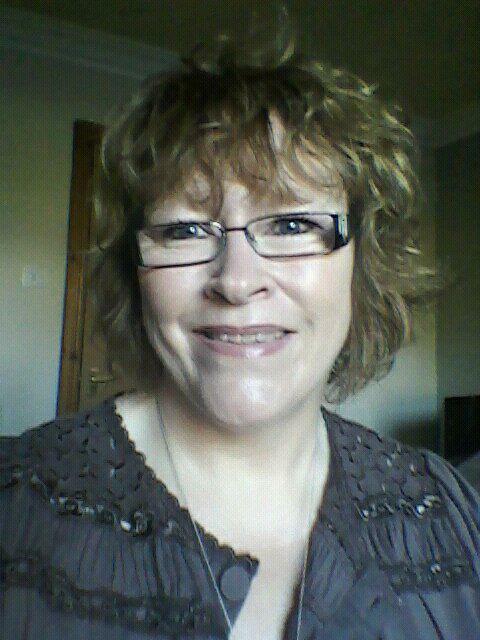 l am Gillian Eames and have just read your story and notice you are from Norther Ireland . l am working with NASS to help raise awareness in Northern Ireland for AS. Thank you for your detailed story! It is all the details of years of illness and not having the answers that is so frustrating! And the people who think your just seeking drugs!!! If they had any idea of the pain to the core of your bones!!! Many blessings and thank you! Are you the Patricia Beattie who used to live in Victoria B.C. Canada?